Comfortable folding shower seat made of stainless aluminum. The wall fixation is done by 2 x 4 screws (not included). Height to choose from 46 to 58 cm. The comfortable seat and back are padded. The coatings may be eliminated. Safe douchetaboeret with patterned and perforated seat. 2 large handles for better stability. 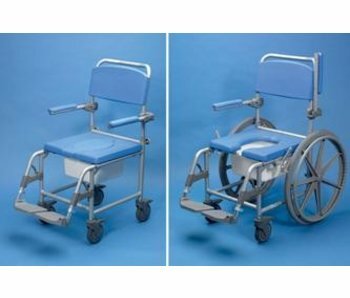 Shower Chair in aluminum with 4 braked castors or with 2 large rear wheels. Also usable as a toilet seat. 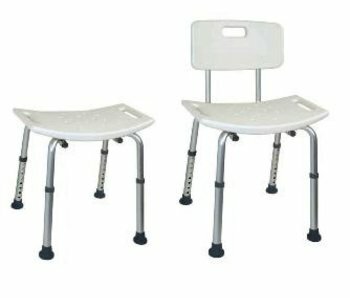 Detachable ring seat, lid and footrests. 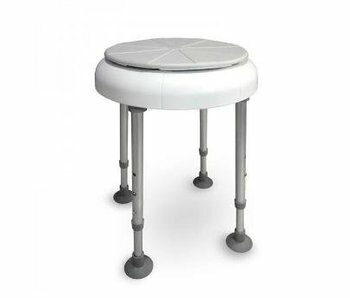 Lightweight and stable shower stool in aluminum. 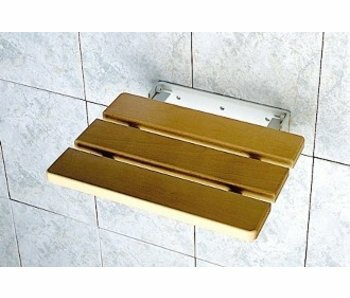 Stylish folding shower seat with wooden seat. - Folded it takes only 7 cm. 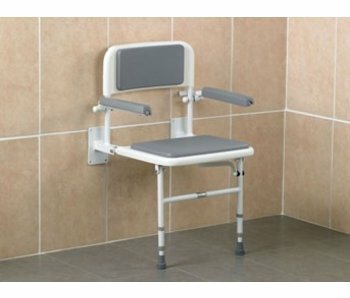 Top quality shower chair from Denmark. Aluminium feet and easy to clean light gray polypropylene session. Two solid hand rests for optimum safety. 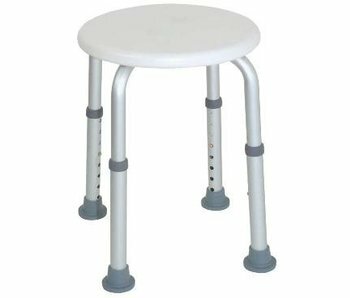 Shower stool with rotating seat. 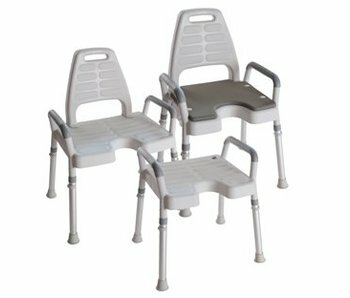 Ideal for people with movement disabilities.